The 10 Best Roller Skating Rinks in West Virginia! The first indoor roller skating rinks were opened in the 1930s and hit the height of popularity in the 1960s. While these fun-filled spots may seem a little retro, they’ve been making a comeback in recent years. If you’re looking for a unique venue for a party or want your kids to enjoy an activity that will combine physical fitness, choose any of the 10 best roller rinks in West Virginia below and skate your heart out! Family-owned and operated, Skate-A-Way in Fairmont, West Virginia, provides the perfect place to take the kids. They even have a beginner’s rink where first-timers can try in a smaller area without so many other skaters around before venturing out to the main floor. Fun, fitness, and family are words used to describe Roll-A-Rama Skate in Huntington, West Virginia. There’s an in-house DJ who will rock your skates off during public skate times on Wednesday, Friday, Saturday, and Sunday. There’s a small concession stand, and they take reservations for private parties like birthdays and church youth groups. MacArthur Skating Rink in Beckley, West Virginia is a great place to take your family or group of teens who want to do something different on a weekend. The friendly staff make sure everything is clean and safe, and the prices are very affordable. If you’re looking for a great place to host a child’s birthday party, look no further than Skateland of Campbells Creek in Charleston, West Virginia. This place is friendly, safe, and fun, and one of the few places with a snack bar. Family-owned and operated, it’s understood that parents want a well-supervised place for their children to hang out and have fun. Monthly late night skates are scheduled and fun is on the agenda. 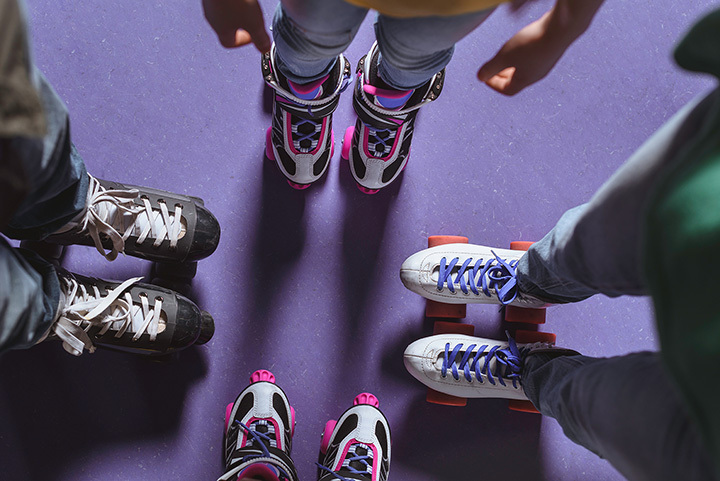 Skate Country in Parkersburg, West Virginia, is the perfect place to burn off a few calories and fun is included at no extra cost. Even little ones will have a great time here and the staff is friendly and very accommodating. This is a great place to host a birthday party and build lasting memories. You’ll appreciate the fun family atmosphere at SkateTown Green Valley in Bluefield, West Virginia. Parties can be booked for a reasonable charge with special rooms set aside, and they have an arcade when you need a break from skating. Young and old alike will love spending time here slow skating or jamming to the oldies. Affordable family fun is what you’ll find at Galaxy Skateland in Martinsburg, West Virginia. This spot is great for those rainy days when you can’t play outdoors. There’s an indoor arcade and the large jungle gym in addition to skating. They also have a snack bar where you get order pizza and drinks during breaks. Planning a birthday party or just want a place that guarantees fun in a safe atmosphere? The Roller Derby in Moundsville, West Virginia, can accommodate both. A premier spot for all occasions, they rent roller skates and roller blades. Admission for the public is on Friday and Saturday evenings, but they’re open for events and fundraisers any day of the week. Wheeling Park in Wheeling, West Virginia, offers a unique setting with a rich history for many different activities. Opened in 1925, the part has undergone many changes, including the addition of the Memorial Ice Rink constructed in 1959, allowing the part to be open year-round. The rink is open from mid-October to mid-March and offers speed skating, adults skating, freestyle, and private lessons. There is also a program for children six and up to complete the levels in U.S. Figure Skating Association Basic Skills. This little hidden gem will make you feel like you’re stepping back in time. Pennsboro Roller Rink in Pennsboro, West Virginia, offers fun for young and old with nicely maintained floors, colorful lighting, and a great atmosphere. Available for private parties, this is a popular hangout for the kids, and there’s plenty of seating for grownups who just want to watch their children skate.